This weekend, instead of serving fish or lamb with vegetables, I chose to go with a roasted whole chicken. The dish is quite easy to prepare and the ingredients are not too difficult to come buy. The secret tip for making yummy and juicy chicken dish is to parboil the chicken before either frying, roasting or grilling. Parboiling literally means boiling chicken in water until it is partially cooked. It is noteworthy that water must cover the entire chicken before parboiling so that the entire chicken will be properly parboiled. Afterwards, the chicken is removed from the water before further cooking. The ideal time to remove the chicken from the boiling water is once large quantity of foam starts appearing on the surface of the water. At this point, the water can be discarded and the chicken seasoned properly before further roasting, frying or grilling. 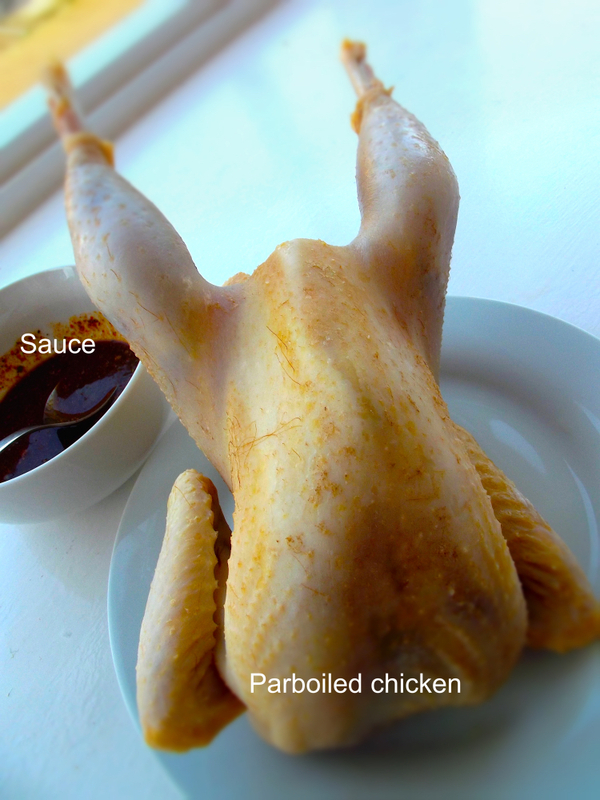 Parboiling chickens do not only makes cooking them very easy and quick but makes the chicken so juicy and delicious. Honestly, the end result is usually amazing and the flavors of ingredients and lemon drizzled over the chicken makes a perfect balance in this colorful and appetizing dish. 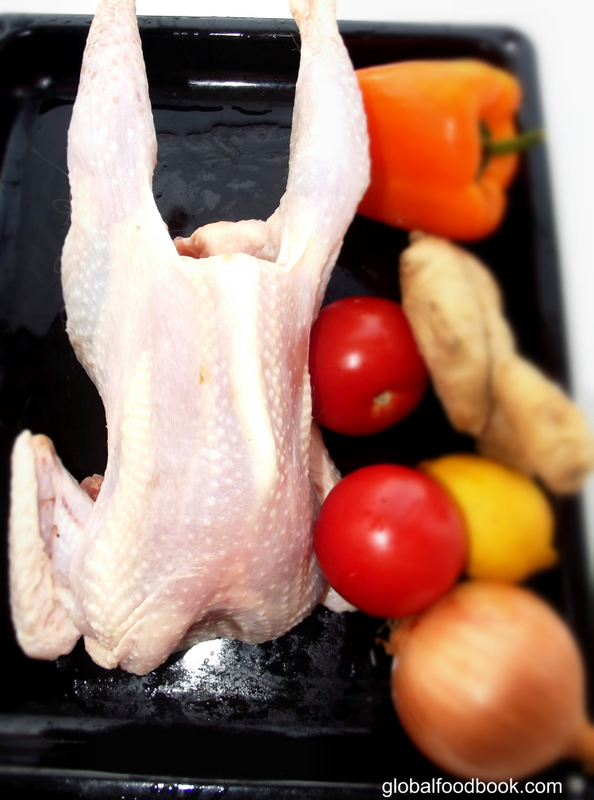 This roasted whole chicken recipe couldn't have been simpler as shown on this site. Try out the simple recipe shown below and your taste bud will always long for this dish. Wash and add the chicken in a big pot then pour in boiling water to cover the chicken. Allow to parboil until foam is appearing on the surface of the water. Decant the water and put the chicken in a clean bowl. Meanwhile mix all the listed ingredients in a clean bowl together. 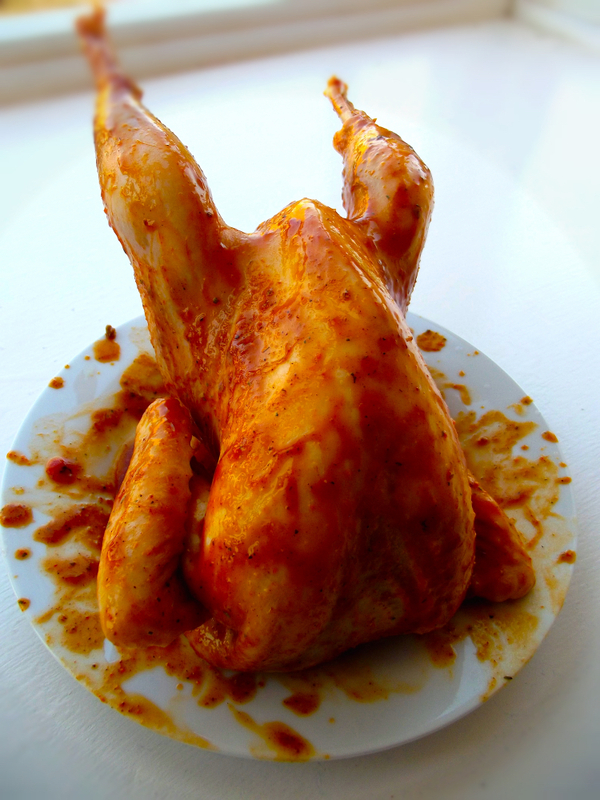 Rub the mixture all over the chicken thoroughly and place in the fridge for at least 2 hrs. 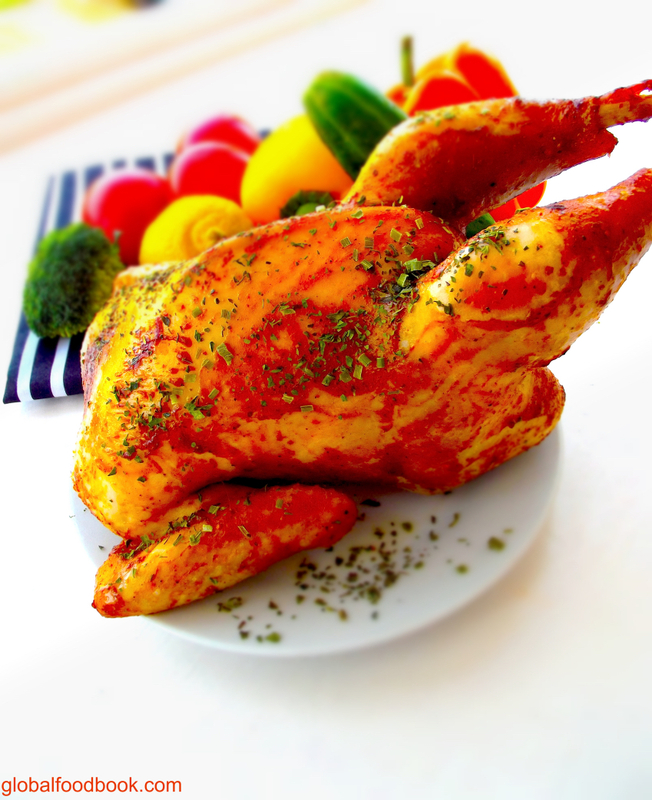 Placing the chicken in the fridge for few hours allows it to marinate for a tastier and juicier chicken dish. After 2 hours, place the chicken in an oven pan and place in a pre-heated oven of 200-250oC. Allow to cook until the chicken is golden brown and properly done. Bring out from oven and serve as desired, either with vegetables or any other dish of choice.